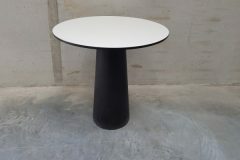 These funky Marcel Wanders Moooi tables have just come into stock!! 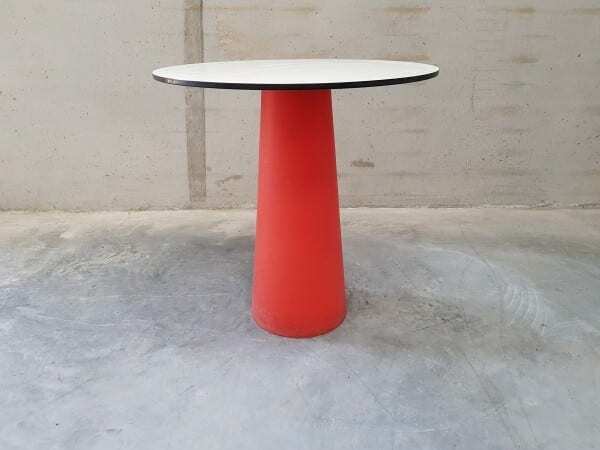 Created by Marcel Wanders for Moooi, this ” table container” has a central conical cylinder polypropylene base, with a white circular high pressure laminate top. 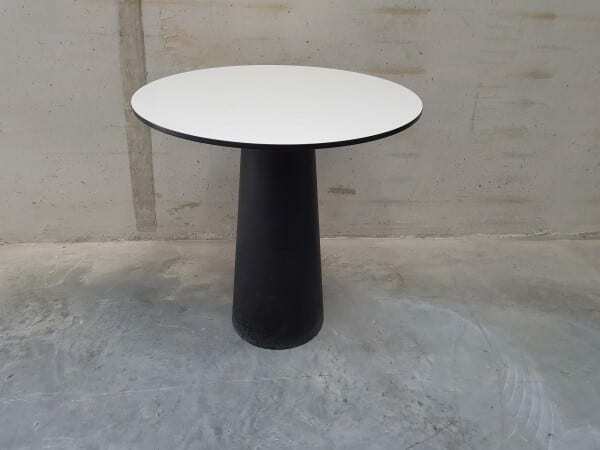 Once assembled the table has a height of 720mm, whilst the top has a diameter of 700mm. They can be used inside or outside. Water is used in the “container” base to ensure the stability of the table. 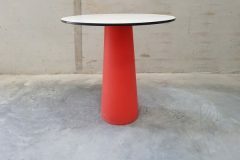 We have 2 in stock – one with a red base and one with a black one. If you were unable to find what you are looking for, we have an extensive range of other second hand tables in stock. Just click on the link provided, or simply enter your details into our ‘Request a Quote Online Form‘ below and one of our sales team will be in touch very soon.